Balcony, Breakfast bar, Ceiling Fans, Crown Molding, Granite Counter Tops, High Ceilings, Kitchen Island, Recessed Lighting, Solid Wood Cabinets, Study, Walk-In Closet. Family Room, Formal Dining Room, Laundry Room, Study, Walk-In Pantry. Balcony, Dock, Fireplace/Fire Pit, Hot Tub, Outdoor Living Space, Patio, Sprinkler, Swimming. East, Panoramic, River View, Scenic View, Swimming Pool View, Water View. INTERESTED IN THIS LISTING? 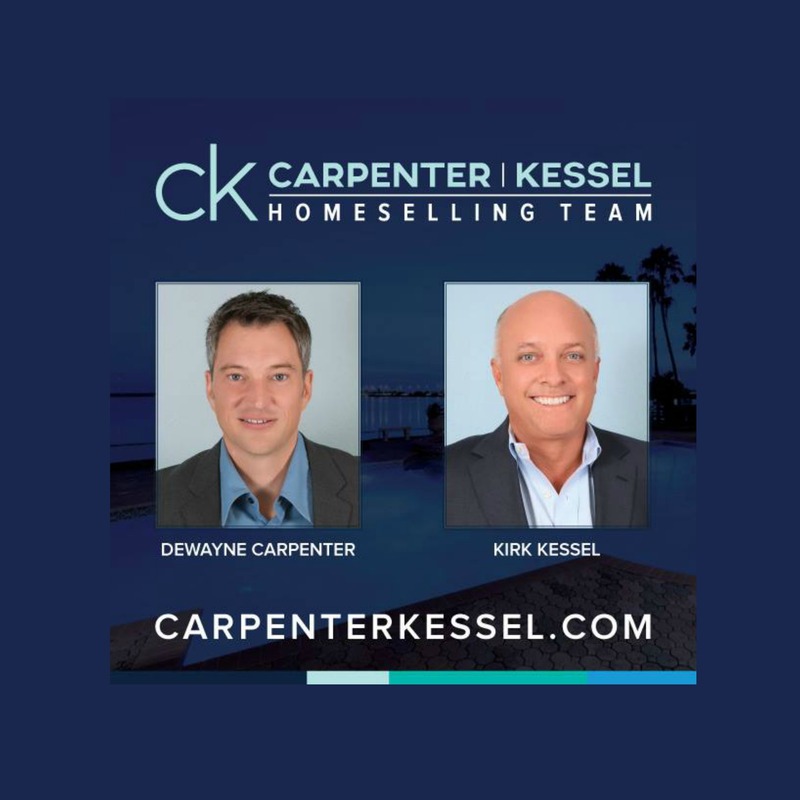 CONTACT SALES@CARPENTERKESSEL.COM DEWAYNE CARPENTER 321.693.2593 PROPERTY Sweeping river scenes cascade from this direct Banana River estate on 1.13 acres. Nestled atop of Honeymoon Hill, spectacular panoramic views are yours to behold. This professionally landscaped paradise transports you to a serene and reflective garden oasis of birds, amazing butterflies, mature trees and is lush with flowering local and native horticulture. Enjoy all the riverfront sights, sounds and scents from your expansive pool deck and spa and comfortably elegant riverside outdoor living space and summer kitchen. A gorgeous and glistening pool, fire pit sitting area and expansive patio provide unbelievable river views while you take a dip or lounge in the warm Florida sun. The private dock is outfitted with a jetski lift and is a great location to catch some sea trout, jack, redfish and, snook. RESIDENCE Expertly constructed with luxurious finishes, this spacious, impeccably maintained, and thoughtfully designed residence totals a spacious 4,802± square feet. This spectacular riverfront home features five bedrooms, four full baths, and two half baths. Custom accents, lighting, niches and designers hardware are featured throughout, and scenic water views are captured from most rooms. Stepping inside the impressive double door entry into the foyer you are immediately impressed and welcomed by the thoughtful details found throughout this amazing residence. An expansive floor plan welcomes you to the formal living and dining areas. A gorgeous fireplace is the centerpiece of the formal living room. Windowed walls and doors provide memorizing water views and easy and direct access to the pool area. A stately office is conveniently located adjacent to the foyer. The functional plan combines the openly flowing family room, breakfast room, sitting area, and kitchen, all bringing in the fabulous sweeping vistas of the stunning Banana River. Gorgeous flooring, soaring ceilings, and detailed millwork highlight the home as a showpiece while the comfortable and effortless floor plan provides for everyday living or an easy transition to large-scale entertaining. Riverview windows and doors stretch across the living, breakfast and family rooms for the inspiring view of the morning sunrise. A truly unique indoor /outdoor fireplace is beckoning you and your favorite book. Generously sized and aesthetically beautiful, the chef’s kitchen includes a riverfront breakfast area, furniture-grade cabinetry, granite counters, top of the line appliances, a center island and a butler’s pantry and wine area. The exquisite and luxurious riverfront master suite features gorgeous pool and river views, new hardwood floors, custom closets and a fantastic master bath replete with custom cabinetry, millwork, double sinks, jetted tub and an enormous and beautiful walk-in shower. A spectacular billiards room and bar are perfect for fun family evenings and provide easy access to the pool deck and outdoor living area. The guest powder room and guest bedrooms en suite boast custom cabinetry, gorgeous hardwood flooring, custom lighting, and hardware. Laundry is less mundane is the beautifully and efficiently designed laundry room. Complete with an additional fridge/freezer, custom storage, and granite counters. Upstairs, you will find two more bedrooms, en-suite, with equally stunning views. A bonus room with access to an artfully crafted balcony provides unmatched views and a fabulous spot to relax and take in second story views of the Banana River – perfect as a workout room or media room. The eastern exposure rooms open to an alternate expansive balcony where you can enjoy the cool river breezes from the east as well.